The idea of throwing a great party doesn’t have to take a lot of time or money. When you plan it right, you can host a party that people will be talking about for weeks on end. All you need is some great food, great entertainment, and a great invitation. Gather some good friends and get to work and before you know it, your party will be kicking off without a hitch! Feeding a lot of people is expensive. But it doesn’t have to be. You can ask your guests to bring a dish of food, or you can take the high road by getting party-sized pizzas. Who doesn’t love pizza? Rather than worry about how pizza won’t be fancy enough, focus on how keeping it simple will help people relax and unwind. If you are asking people to bring food, don’t apologize. Gone are the days when people would look down on you for asking for help. 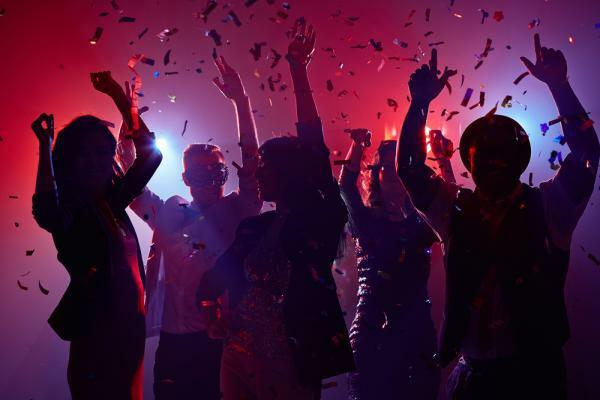 Many people are happy to help throw a great party. Ask people to bring something specific so you don’t end up with five plates of cookies and some potato salad. If you are hosting your party at home, play some great music, make sure there is plenty of seating, and offer up a game that everyone can enjoy. Trivia games are fun and challenging and create a sense of competition that people can get into. Party games are light and take the edge off. If you are hosting children, have one of the other kids be in charge of entertaining the smaller children. Adults can have a better time when they know their kids are happy and safe. Whether you are throwing an anniversary party or a birthday party, you need an invitation. Paper invitations are great for traditional parties, and online party invitations are all the rage. They are fast and easy and everyone likes to get some good vibes in their inbox, rather than just some more spam email. Invitations make it official and provide a way for people to understand the event and what kind of activities will be going on at the party. If you are throwing a surprise party, online invitations work best to keep evidence out of the hands of people who might find things around the house and give away the secret. When you’ve got your food and invitations figured out, you’ll want to make a plan for keeping the momentum going at the party. If you plan to have your party for a few hours, create a plan to keep things moving along and keeping people entertained. If you have games planned, schedule them throughout different times of the evening or afternoon. When will you cut the cake? Will there be presents? Will there be karaoke? Everyone loves karaoke. Don’t put a lot of pressure on yourself to do all of the entertaining. You can ask some of your party guests to plan for some singing, guitar playing, or can you take the party outside and enjoy a bonfire and some s’mores. Allow your guests to enjoy one another’s company. Don’t force things. Parties should be natural and above all else, fun. One of the best ways to throw a great party is to think about your previous party adventures and how they turned out. Did things go as planned? Did you end up scrambling at the last minute to prepare for the party? How much lead time did you allow? Did you miss anyone on your invite list? Did you make a cake or did you order one and have it brought to the party to cut down on the work for yourself. How many people tend to show up? Do you over prepare? What can you hand off and what can you leave on your plate? Great parties start with great plans and they end with a great time had by all. Rahul Sharma is the author of Get News 360 & Dazzling Point - THE DESTINATION FOR FASHION'S LOVER . Rahul has been working in Digital marketing industry for over 5 years from website audit, link and content development, social media and search engine optimization. Connect with Rahul on Google+, Twitter, and Facebook. Get Yourself A Good Industrial Warehouse For Rent At Minimum Prices! Why is Redgum firewood the best for your fireplace?